“BPA-free” not a safer version in plastic products, speeds up embryonic development and disrupts the reproductive system. A new study, by UCLA has revealed that BPS, the replacement for “BPA, speeds up embryonic development and disrupts the reproductive system. A prior study, analyzed the impact of BPA in canned food and determined that more than 110 brands still use BPA. 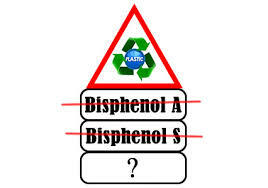 Bisphenol A, or BPA, has been linked to a number of health problems ranging from breast cancer to heart attacks. The Environmental Working Group (EWG) analyzed the content of 252 brands of canned food to determine the level of BPA. The research findings revealed that more than 110 brands still used BPA in some or all of their products. Seventy eight canned brands still use BPA-based liners in all of their products. Transparency on this subject continues to be a major issue, as another 100 brands did not provide sufficient information for researchers to complete its analysis. The animal study, published in the journal Endocrinology, is the first to examine the effects of BPA and BPS on key brain cells and genes that control the growth and function of organs involved in reproduction. The researchers used a zebrafish model and used fluorescent-green protein tags to track the fishes’ development of reproductive endocrine brain cells, which control puberty and fertility. The scientists determined that the number of endocrine neurons increased up to 40 percent, suggesting that BPA overstimulates the reproductive system . Low levels of BPA and BPS, equivalent to the traces found in polluted river waters, altered the animals’ physiology at the embryonic stage in as quickly as 25 hours. BPA and BPS acted partly through an estrogen system and partly through a thyroid hormone system to exert their impact. Bisphenol, BPA, detected in more canned food than anticipated. ← Balance in brain networks in children who are obese is different, paying attention with purpose and being in the present moment avoids obesity. Copyright © 2019 Food Exposed. All rights reserved.